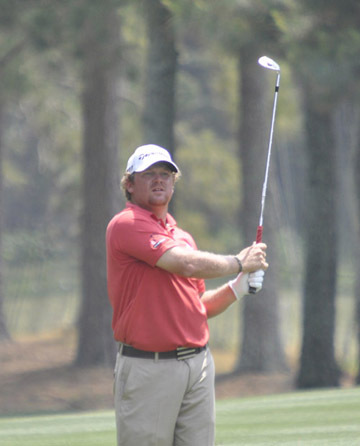 William McGirt is playing in his first Masters and is in second place after the first round. William McGirt was interviewed by the Masters’ press corp after his outstanding 3-under par 69 to finish his first round in his first Masters in second. This is the full transcript of his session with the press after his first round. MODERATOR: Good afternoon. We want to welcome to the press building William McGirt. He carded a wonderful 3‑under par 69 today in very difficult conditions on the course. He birdied holes 2, 5, 13 and 16. This is William’s first appearance in the Masters and his first appearance obviously in our new press facility. Last year, William had seven Top‑10 finishes, including his win at the Memorial Tournament. William, would you like to start and tell us a little bit about your round, and then we’ll open up to some questions. WILLIAM McGIRT: Well, first of all, first interview in the new press tent, and pretty impressed with this place. It’s pretty nice. Yeah, it was a very solid day today. Luckily, I think this is the first time all year that we’ve played in wind like this where I’ve actually had a bunch of good numbers. It seems like we’ve been dead in between clubs most of the year, and today it seemed like it kind of turned and we got good numbers. And when I missed shots, I seemed to miss it in the right spot and was able to get it up‑and‑down. You know, chipped it pretty well. Putted it pretty well. And all in all, it was a pretty solid day. Q. Well documented, your sort of life on the mini‑tour and the struggle to get on the TOUR, and your ability to ultimately win. What’s it like having gone through what you’ve gone through to see your name at the top of the leaderboard at the Masters? WILLIAM McGIRT: This is a lifelong dream and it’s one of those things, that when you’re going through that, you don’t know if this moment will ever happen. There’s been years and years, even since I’ve been on TOUR, that I didn’t know if this moment would ever happen. It’s just one of those things, I’m going to try to soak it all in and enjoy it and relish every moment here at Augusta National. Q. As you went through that round today and you kind of had to notice you were up on the leaderboard, what started to play in your mind, maybe even after the birdie putt at 16, for example. 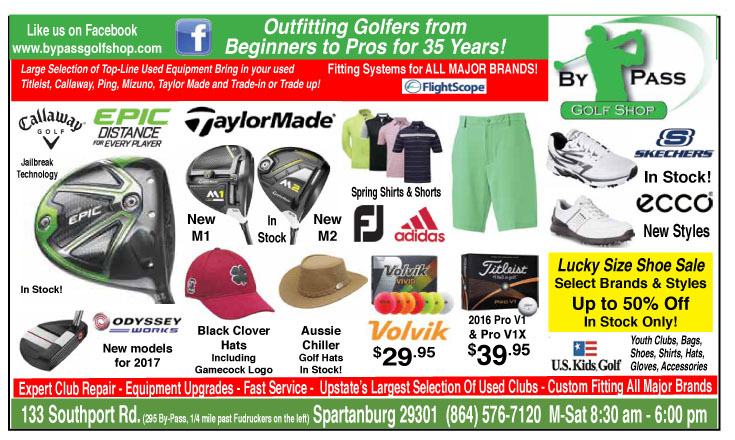 WILLIAM McGIRT: What was playing through my mind? Let’s get this thing to the house without hurting ourselves. You know, 17, even though it’s straight downwind, you’ve got to hit the fairway. And then 18, I don’t know that there’s a harder tee shot on the golf course today than 18. It’s whipping so hard left‑to‑right, you really need to be able to take two or three of those trees and cut them down just to have a little extra room to fit it in there. I saw the leaderboard a couple times, and I noticed that Thomas Pieters had it 5‑under through like 10, and I don’t remember what he finished at, but I know he was coming backwards there for awhile. Then we were standing on 18 and I saw Matt Fitzpatrick had it to three and, I guess, doubled the last. It was just a solid day. I was just trying to figure out how to get it to the house without hurting myself. Q. I’m curious how many times prior to today, this week, have you played Augusta National, both after winning the Memorial and knowing that you were going to be here this year, but also prior to that? Have you been to the course a lot? Do you know it that well? Have you had a chance to get it know it? WILLIAM McGIRT: I had never been here until December to play. I had come to the Masters a few times as a Patron. But I came down twice in December, once in March, and came back on Friday. Been here since Friday. McGirt earned his way to Augusta with a win at The Memorial. 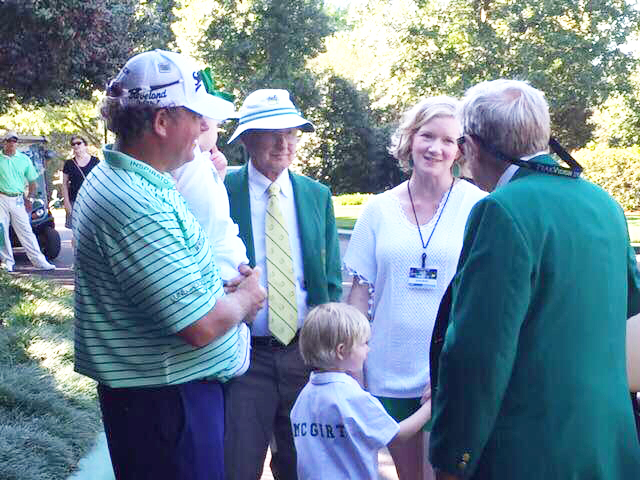 Host Jack Nicklaus gave McGirt some advice before the first round at Augusta. Q. I wonder if you had a chance to pick Jack’s brain at all in the run‑up to this. WILLIAM McGIRT: I really haven’t had a chance to pick his brain much. We did‑‑ my family and I were taking pictures just in case the Par 3 didn’t happen yesterday. We were taking pictures Tuesday. And we were walking back towards the clubhouse from the circle, and he rode by in a cart, so I just kind of followed him over just to speak. And you know, he just told me to play smart and play within myself, and he says, “If you can win at my place, you can win here,” because there’s a lot of similarities in the two golf courses. There’s a lot of holes where you don’t have to hit it directly at pins to get it close. You know, it’s one of those things, he just kind of started talking and I just listened. Q. Did that give you confidence, based on what he said about winning at Muirfield Village? WILLIAM McGIRT: Yeah, for sure. For sure. Because I really haven’t played that well this year, and you know, he said it’s another week, basically, another opportunity. It’s kind of one of those things where you forget about what you’re doing, and you kind of get caught up in being at Augusta and being at the Masters, and just roll with it. Hopefully this will kind of get me going again this year. Q. Did you feel comfortable right from the start? And also you mentioned you did see your name up there a few times on the leaderboard. Was it hard at all to kind of maintain your emotion and keep your adrenaline in check when you did see your name up there? WILLIAM McGIRT: Believe it or not, I was not nervous at all today. I really even surprised myself. Now, when I heard, “4, please, William McGirt now driving,” I almost shed a tear, but I realized I had to get up there and I had 40 seconds to hit it, so I better get it done quick. This is something I’ve kind of prepared myself for or tried my best to prepare myself for. You know, hitting the tee shot the first day, and I didn’t want to get out there and not be able to get the ball to sit on the tee or not be able to get the driver to sit still. I’ve tried to do everything I could to prepare myself, but I was very calm today. Surprisingly. Q. Maybe just your reaction when you saw your name for the first time or couple times on those big ole leaderboards? WILLIAM McGIRT: I’m sure you probably saw something on TV‑‑ I reached over and ‑‑ I forget what hole it was they put my name up on the top of the leaderboard. We’re walking along, and I look at B and I go, “Hey, look up there.” We both kind of got a laugh out of it. Q. You mentioned the first time, or you mentioned coming here as a fan a couple of times. Do you remember the first time, and maybe what the memories were from that experience? WILLIAM McGIRT: I think my first time here was, I think it was ’88. I remember it was super hilly. We watched Mr.Palmer Mr.Nicklaus come up 18, and I remember there was a guy who was at least 6’6″, put me on his shoulder so I could watch Greg Norman tee off on No. 1. Other than that, I remember I was dead tired when we got in the car to go home. Q. You were at the Honorary Starter ceremony this morning? Q. What made you want to get up this early to go? How much did that mean to you to be there? WILLIAM McGIRT: There was never any question that I was not going to be there. You know, I didn’t care if I was two groups, three groups, four groups off, you know, after that. I was going to go watch it. It’s something I’ve always wanted to do. I’ve never been here to watch it in person. And with this being the first year without Mr.Palmer being here, I was not going to miss it. Q. Were you on No. 1 green when it was taking place? WILLIAM McGIRT: No. We were on the tee box. We were right at the entrance to the tee box at the back. So everybody came right by us this morning and left by us. Q. You’re known for your grind‑it‑out style, keep it in front. Did you think the conditions could play in your favor today? Then, having a lot of family and friends here, as well, to watch you, what was that like? WILLIAM McGIRT: I was not upset to see it blowing. I love it when it plays tough. I’m not the kind of person that’s going to get in a shootout with anybody. If it’s going to be 20‑, 22‑under par, then I’m playing for about 15th. I love it when it’s tough. And this place, when it plays like it did today, I mean, this can be one of the hardest golf courses you’ll ever see. 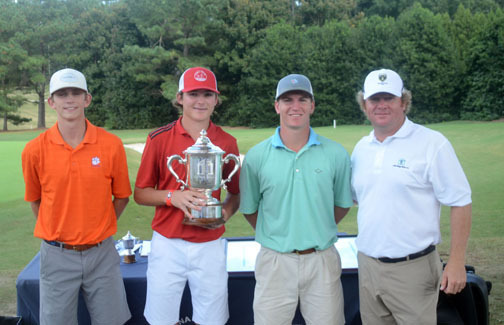 McGirt presented the winners trophy at the Chapman Junior in Spartanburg. He is member of the advisory board for the tournament. Q. So many family and friends I saw following you today from Wilmington to South Carolina, what does that mean to you to see so many people to see you at your first time at the Masters? WILLIAM McGIRT: It’s awesome to have a tremendous amount of support like that. You know, I kept looking around throughout the day, and you know, somebody else that I would know somewhere. You know, I walked over and shook hands with, I don’t know, probably half a dozen people throughout the round. Danny Morrison that used to be the president of the Panthers, Danny and his daughter, Meg, were out there. I saw them. More people than I can name. But it’s really neat to be this close to Augusta, live this close to Augusta, and have this many people here supporting you. You know, I could be from really far away and have nobody here, other than two or three people, and who knows. It’s just cool to have had that many people here supporting you. Q. From shaking hands with people to looking at your name on the leaderboard to being out there for the first tee shot, it feels like you’re sort of embracing this week, maybe a little bit more than some other players in the field this week. Was that a conscious decision coming into the week? WILLIAM McGIRT: I wanted to make sure I enjoyed it, because, I mean, I don’t know if this is going to be a one‑time thing or if I’m going to be back every year. I’d love to be back every year, but I’m not going to walk away and go, gosh, I wish I would have enjoyed it more or wish I would have done this or wish I would have done that. The only thing I wish is that we could have played the Par 3 yesterday. It’s just something that, Sarah and I talked about it; we were never going to miss the Opening Ceremony this morning, or the ceremonial tee shot. I was just hoping that they would let us stand on the tee box, and I walked out there this morning, walked on to the tee and I figured somebody would tell me to move if I wasn’t supposed to be there. It’s just something that I’ve dreamed my whole life about playing in this tournament, and I’m going to enjoy it. Plain and simple. Q. This obviously isn’t a wild guess, based on your name, but do you have any chance of Scottish or Irish ancestry? WILLIAM McGIRT: Maybe a little bit of both. WILLIAM McGIRT: No, I do. For sure. Scottish and Irish. Q. Do you know specifically? WILLIAM McGIRT: (Shaking head no) way, way above my pay grade (laughter). Q. You’ve grinded throughout your career. Was there ever a point where you thought about doing something else for a living? And the second question is, and I know you’ve told the story before, but would you mind just humoring us with your Tiger Woods scoreboard story, please. WILLIAM McGIRT: There have been a few times that I thought it might be time to do something else. I had no clue what I was going to do. So I figured I’d better get out there and start practicing again. But it was very helpful. He probably doesn’t realize how much he actually helped me by making that comment. The very next year, we’re in Canada, again, Sunday I’m coming down the stretch with a chance to win, and I don’t think I hit a shot without checking the leaderboard first. It’s something that I’ve remained conscious of since. Q. You talk about only having one bogey on a day like this. Obviously it plays into your short game. Talk about that being a strength and if you maybe had one or two, you know, better than average saves today. WILLIAM McGIRT: If I had had a better lie in the bunker on 3, the fairway bunker, I might have gone bogey‑free today. An‑d I actually hit a great shot in there and hit a really good putt. Still had a chance to go bogey‑free. Great saves today, I think starting out on No. 1, I hit it hole‑high, right, which is not good to that flag. Got it up there to about five or six feet. So really started the day with a good save right out of the bat. I’m trying to think, my ball was buried in the bunker on 7, front bunker. And I made about a 15‑footer for par there. 10, hit what I thought was a perfect 7‑iron. Completely misjudged the wind. Came up a good bit short. Pitched it about seven, eight feet by, and now you’ve got that little tickler. You want to play it out there about a ball or a ball and a half, but you know that for some reason, it just doesn’t turn. It’s really fast, by the way. I felt like I hit it like a one‑foot putt. Hit it hole‑high right and hit a great shot in there to about six or seven feet and made it. But other than that, you know, 18 was another really good save. So a lot of times, I missed it in the right spots. Now, I did have some really, really good chips to go with it, but you know, there’s just certain places out here you can’t miss it, and luckily today, I didn’t put in those positions. Q. Would you talk a little bit about your caddie, Brandon, and was he influential towards your‑‑ Arnold Palmer, because I know he’s from Latrobe? WILLIAM McGIRT: Influential in what way? Q. Both introducing Mr. Palmer, just your affection for Mr.Palmer; anything in that way. WILLIAM McGIRT: No, he didn’t really introduce me to Mr.Palmer. And I quickly said, “I remember some old guy said if you’re going to take the time to sign it, make it legible.” And he gave me a thumbs‑up and a wink, and he was gone. Brandon’s one of those guys that’s been there for me the whole time I’ve been out here. He’s missed one, two events, I think, since I’ve been out here. And one was‑‑ I mean, before we even started my rookie year, he was not going to be in M�xico. His dad was having some kind of heart surgery done. But he’s one of my best friends, somebody that has been a tremendous help to me. So it’s something we’ve had a lot of fun doing. Q. You’ve shared a lot of good stories from past tournaments. 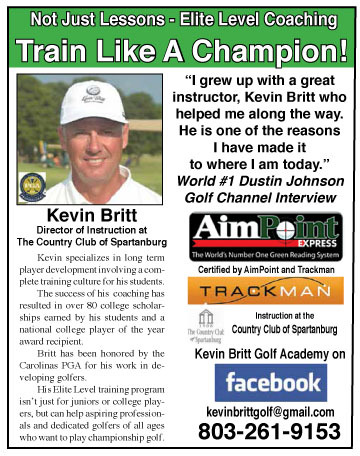 I’m hoping you might have a good one from the Cabarrus Classic, which I think was your first professional win. WILLIAM McGIRT: It was. I don’t remember much about it. I remember Sunday, it was a pretty rough day weather‑wise. I know we had rain and wind. It was actually during the Wells Fargo tournament. We went into a playoff and I don’t remember what exactly happened for us to go into a playoff. I know I birdied‑‑ I think I one putted the last four in regulation, and then one‑putted in the playoff. It’s kind of like today. You just kind of hang around and take advantage of your opportunities when you have them. Q. Of those previous visits in December and March, were they all with Rob, and how much course knowledge were you able to get from him that you used today? But the golf course is so different than it is now. The good thing for me is, I think three or four times, I’ve played it with today’s wind direction where it’s been blowing, you know, 15 to 25. Obviously not 40 or whatever it was gusting to today. But I think it was kind of great prep for today, honestly. Q. In the sea of long bombers and guys who really move it out there, you’re able to compete. Can you describe your game in just one or two sentences? WILLIAM McGIRT: I’m sneaky short, number one. It’s one of those, I play within myself. I know what my limitations are. I’m not the guy that’s going to stand out there and try to hit it over the trees on 13. I just, today is the first time I actually hit 3‑wood off that tee and I don’t know why I would ever hit driver again. I kind of plot my way around the golf course and take what it gives me. I’m not the kind of guy that’s going to go out and shoot a ton of 62s and 63s, but I’m going to go out and shoot a lot of 68s and 69s, and over the course of the year, I think that’s going to do pretty well. Q. Talk about the first tee shot. What were some other things you felt like you had to do this week to experience everything, and what things did you have to check off your to‑do list? 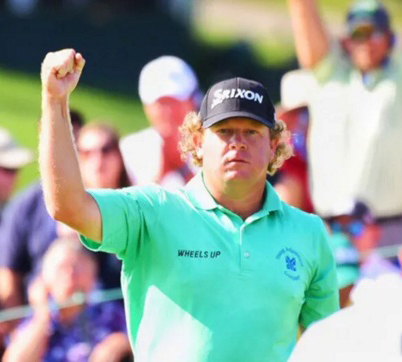 WILLIAM McGIRT: It’s kind of neat to hang around late in the afternoons and walk out on the porch outside the locker room and watch as everybody’s leaving. I think that’s one of the most beautiful sunsets. And same thing with the morning sunrise. To sit out there and watch the sun come up is pretty darn special. We’ve done the concession stands. We’ve done the merchandise area. To actually be able to shop in the golf shop this time was pretty fun. Just every time I drive down Magnolia Lane, it’s such a special moment. I’d say that’s probably one of the most sacred drives in the game. It’s very special, and honestly, the first time I made that trip, by myself, I’m pretty sure I teared up about halfway down. This is such a special place, just try and enjoy it. Q. Is there an estimate you could share about how much merchandise you picked up? WILLIAM McGIRT: AMEX is going to be very happy to have me as a customer. I don’t know. I’m scared to look honestly (laughs). Q. Correct me if I’m wrong, but you’ve had opportunities to play here before in the past, I want to say, through maybe a friend or a connection. If so, sort of why did you maybe not take advantage of that opportunity, and if you could maybe explain the sort of connection there. WILLIAM McGIRT: Well, I mean, technically, I was never invited. But you know, Rob Chapman, one of my good friends from home, we were talking several years ago about something‑‑ talking about a golf shot. I don’t even remember if it was a specific hole but it was more just a golf shot. I don’t like playing meaningless rounds of golf. I probably play four or five rounds a year not in a tournament and not a practice round or like going somewhere to get a look at it, like I went to Baltusrol last year to play. So I just don’t play a whole lot of golf. I go out and practice and hit some balls, chip and putt and get back home and spend time with the kids. Q. You’re obviously going to wake up tomorrow at or near the top of the leaderboard. You’re in the first group off. 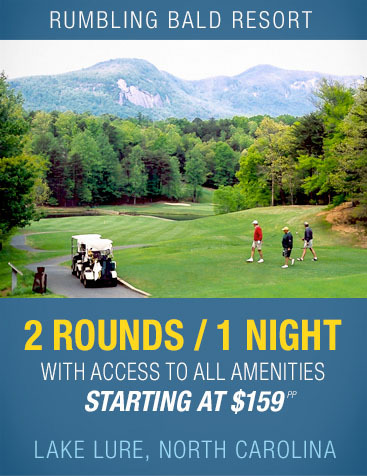 Is that kind of a best‑case scenario to where you can just wake up, get right back at it and go play; you don’t have to sit around for two, three, four, five hours waiting to start your round? WILLIAM McGIRT: For sure. It’s one of those things where I almost wanted to sign my card and go back to the first tee today. Yeah, hopefully it won’t be quite as windy first thing in the morning. I know it’s supposed to be pretty cold, so No. 1 ought to be playing about nine miles first thing in the morning. But you know, go home, get some food and get a good night of sleep and come back and try to duplicate today’s round tomorrow. MODERATOR: On that note, thank you very much and good luck. We hope you achieve that goal tomorrow.